I haven’t shared much new music since starting my blog about a month and a half ago, because, well, honestly there hasn’t been much to speak of, but in the last week or so, I’ve discover a few new albums that have ranged from really friggin’ great to intriguing. 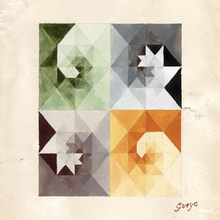 My favorite of the three albums I will be sharing is Gotye’s “Making Mirrors”. This album actually came out back in August, but I was just put on to it by a couple co-workers and boy am I glad they did. He is an experimental indie Rock musician from Australia. I am totally obsessed with this album right now. I like it so much because it’s just so different and experimental, all while being so damn catchy (all my favorite aspects of good music). As the album progresses it get’s more and more bizarre, but never so much so that it just gets weird. It always stays grounded and stays sounding amazing the whole way through. Needless to say, this album comes HIGHLY recommended and will not disappoint. 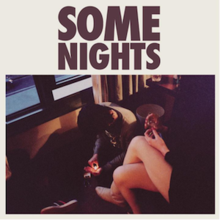 The second album I would like to share is Fun.’s “Some Nights”. Fun. is a New York City based band that’s been around for a few years now. I was told about this album early last week and how their single “We Are Young” featured one of my favorite female singers, Janelle Monae. So I gave the album a spin and I must say it’s not a bad little album. It’s young and hip and has huge, catchy choruses. The album even gets a little operatic at times (very Queen). A couple days after getting into them, I started hearing “We Are Young” on the radio, so I guess these guys are coming up and I think they deserve it. They don’t sound like anyone else, really and make some pretty catchy, “fun” tunes. This album is definitely worth checking out too. It looks like they might be big in the not too distant future. 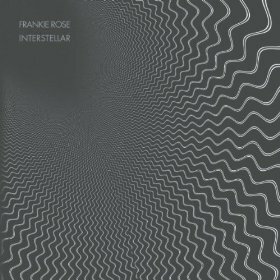 And the third and final album I’d like to share on this New Music Tuesday is Frankie Rose’s “Interstellar”. This is Frankie Rose’s 2nd album. She is pretty underground, but you may know her from a group called the Dum Dum Girls. The album is well concieved and executed. It ranges from quite, soft tracks to upbeat 80’sish songs. I haven’t had the oppurtunity to listen to this album too many times yet, but I did like it quite a bit from the few times that I did get to listen to it. Over the next few days, I’ll be sharing some songs from these and other new albums for songs of the day. Have you heard any of these albums? If so, what do you think of them? If not definitely take a listen and let me know what you think. This entry was posted in Music, New, New Music Tuesday, Review and tagged Dum Dum Girls, Experimental, Frankie Rose, Fun., Gotye, Indie Rock, Interstellar, Janelle Monae, Making Mirrors, Music, New, New Music Tuesday, Queen, Rock, Some Nights, We Are Young. Bookmark the permalink.